Say hello to your new favorite shoe, the Main Route Northfield oxford from Rockport. Full-grain leather upper with tonal stitching and plain toe for a clean, versatile style that will go with just about anything. Hydro Shield waterproofing is tanned into the leather along with a special seam-sealant keeps your feet dry in wet weather. 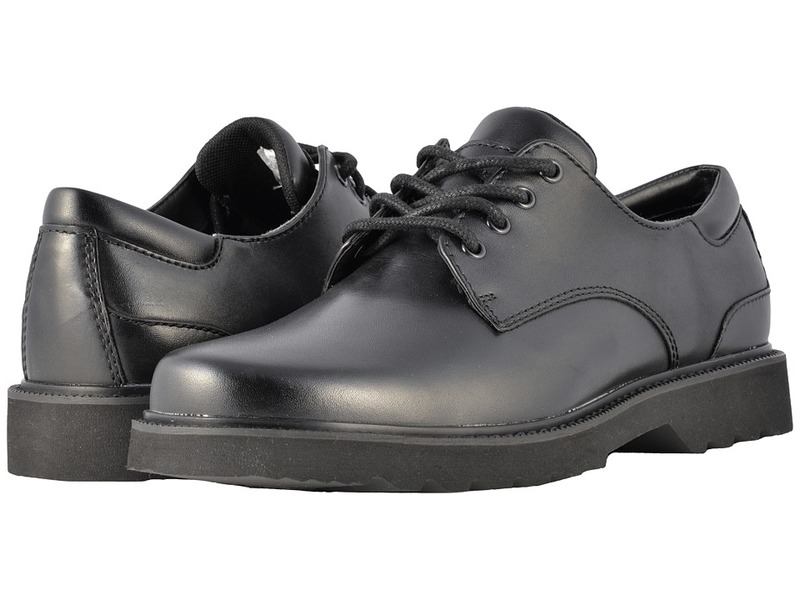 Fully cushioned collar with a traditional lace-up closure offers a supportive, customized fit. Napa leather lining naturally draws moisture out to maintain a healthy, happy foot environment. Removable, shock-absorbent underfoot cushioning helps keep feet cool and dry. Rubber outsole with lug design provides durability and grip on a variety of surfaces for maximum walkability. Measurements: Weight: 1 lb Product measurements were taken using size 9, width W (EE). Please note that measurements may vary by size. Weight of footwear is based on single item, not the pair.